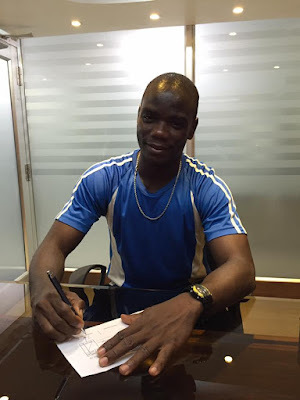 The Kolkata based club has signed the 30-year old Nigerian forward for the upcoming Calcutta Football League. The team will be playing in CFL Premier Division A after they earned promotion last year by winning the Premier Division B.
Badmus has been in India since 2006 and has played for clubs like Viva Kerala, Salgaocar FC, ONGC FC, Rangdajied United, Royal Wahingdoh FC to name a few. He played an important role in ONGC FC's title triumph in 2010 I-League 2nd Division, and earn promotion to top division. After this time with Royal Wahingdoh, he joined Sikkim based, Gangtok Himalayan SC and played for them in 2015/16 I-League 2nd Division. His last stint was with Chennai based club, Chennai United, and went on to win the 2016 CFA First Division.